The Experimental Analysis of Human Behavior Special Interest Group conducts several activities each year designed to highlight scholarly contributions to the field. See below for more information on our Distinguished Contributions Award and Student Paper Competition. Each year, SIG members vote on nominees for our Distinguished Contributions Award. 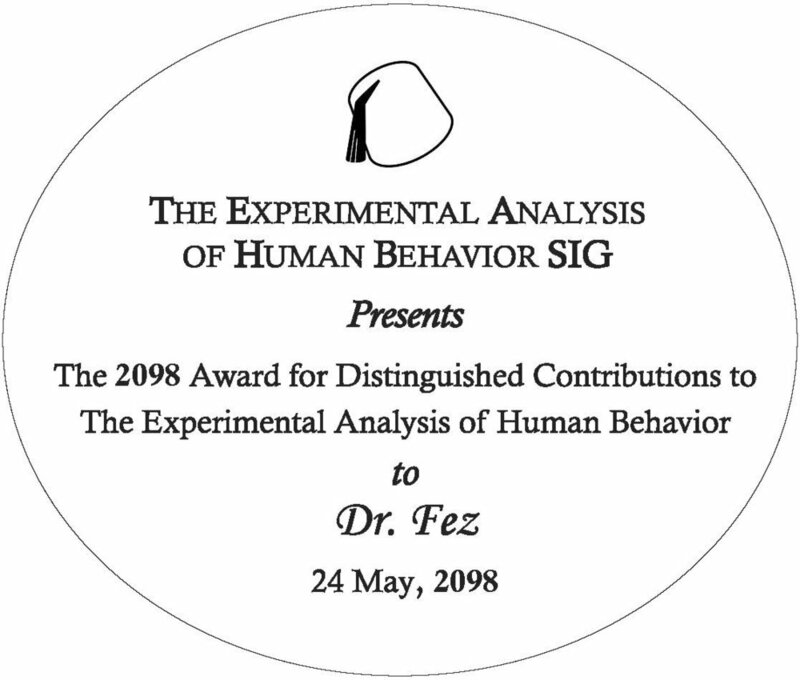 The goal of this award is to recognize the contributions of behavioral scientists whose work has helped to define EAHB as an interesting and viable area of study. This award is presented each year at the ABAI annual convention. Undergraduate or graduate students who have completed empirical or theoretical papers in the experimental analysis of human behavior are invited to submit their papers to the EAHB-SIG student paper contest. This contest seeks to reward EAHB scholarship on basic research topics. All papers submitted are sent to reviewers with expertise in the topic area of the student paper (many of the reviewers serve on the editorial board of top behavioral journals). All student authors receive their reviews (regardless of award status). As such, this is an excellent opportunity for talented students to receive early peer-review experience. Email inquiries to kmkestner@mail.wvu.edu.